Social & Health Workers, Teachers, Police officers, and Government Officials who work with Children in especially difficult circum-stances. Then we see them make a CHANGE. from the streets and prostitution. Then we see them THRIVE, as contributing citizens in their communities. ﻿We Encourage, Empower and Educate Disadvantaged Children and Youth. 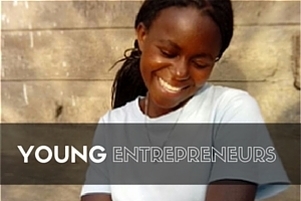 ﻿as students, employees and young creative entrepreneurs. Monday November 6, the board had a meeting at the Royal Palace. 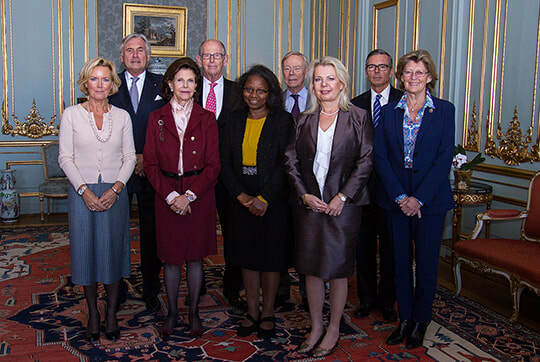 Her Majesty Queen Silvia is the Honorary President of the Foundation and has invited Dr. Wanjiku Kaime-Atterhög as a member of the Advisory board when it comes to issues related to vulnerable children. The purpose of the Foundation is to give support to the most vulnerable children in Sweden and the world through collaboration with well established NGO's in well defined projects. House of Plenty Foundation is happy to welcome Kristina Persson, former Minister for Strategic Development and Nordic Cooperation in Sweden, as a new board member of the Foundation. This enables our schools to start and run income-generating activities on campus such as tree nurseries, chicken farms or buy a dairy cow while teaching the students real business skills. As part of their entrepreneurship training - students at HOPE-VTI Kenya are put into groups and are given a small loan to start a business. As the students pay back the loan, your gift will do good over and over again. ﻿The Red Cross Folkhögskola in Sweden donated 9 video cameras to our media class in HOPE-VTI Uganda and we have a temporary volunteer teaching the class. 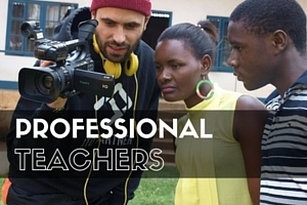 Help us advance the training by employing a media teacher for 2017 to equip the youth to use media to earn an income. Help us raise a teacher salary for 2017 to keep up the successful Entrepreneurship training for marginalized youth at HOPE-VTI Kenya. The aim is to empower students to move towards self-sufficiency through income generating activities. Are you a passionate professional who want to do some good within your own field of expertise? Partner with us and become a sponsor for a youth training program. Are you specialized in Information technology, hotel, Restaurant, or tailoring? 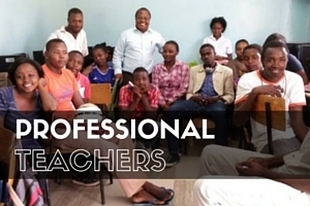 By sharing your knowledge and financial means you can become a sponsor for a training program within your own field of expertise and help hundreds of vulnerable children and youth. The Minister of Gender, Labour and Social Development in Uganda; Hon. Sulaiman Madada hands over a pair of Scissors to the Executive Director of HOPE Foundation; Dr. Wanjiku after cutting the Ribbon during the launch of HOPE VTI Uganda. The Centre serves over 60 marginalized youth in Kireka slum, providing them with free vocational training in IT, English and Entrepreneurship. Read more here. The Foundation has signed a two-year Memorandum of Understanding with Mid-Sweden University to implement student exchange between Sweden and East African countries. Currently, we are supervising two students from the Department of Social Work under this programme in Uganda and two students from the Department of Economics/Entrepreneurship will soon be on their way to Kenya. In 2014, the Foundation signed a five-year Memorandum of Understanding with the Government of Uganda through the Ministry of Gender, Labour and Social Development to implement HOPE-VTI Uganda. The Institute was officially launched in July 2015 by the Minister of Gender and has an enrollment of 62 students annually in IT, Business/ Entrepreneurship, Performing Arts and Media. 2014: Founder receives award: "Innovator of the year"